How do you feel about what you do? Why should I choose Dr. Walchak as my surgeon? Dr. Adam Christopher Walchak matriculated at Villanova University and was a 4-year varsity swimmer and voted captain his junior year. 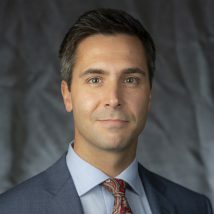 After graduating with a major in biology, minor in cognitive science and undergraduate thesis in molecular biology, he achieved both a graduate degree and medical doctorate at Drexel University College of Medicine, and then went on to complete a full 5-year general surgical residency at Temple University Hospital. Next, he travelled to New York City for plastic and reconstructive surgical residency for 3 years and was trained by many leaders in the fields of both microsurgical reconstruction and cosmetic surgery. His final year of formal education was spent as orthopedic hand surgery fellow under the mentorship of Dr. Ghazi Rayan in Oklahoma City, OK.
Dr. Walchak was born in Philadelphia and grew up in Upper Providence Township. After completing surgical training that literally took him around the world, he chose to move back to the area with his wife and three children to raise his family in a place he knows and loves. When the opportunity to join Associates in Plastic Surgery arose he happily accepted and enjoys hospital admitting privileges along with his partners at both Mainline Health and Crozer Keystone Health systems. He regularly sees emergency patients at Springfield Hospital, Riddle Hospital and Crozer Chester Medical Center, and performs elective operations at numerous sites including Brinton Lake Surgery Center in Concordville, PA. He is a candidate member of the American Society of Plastic Surgeons and the American Society for Surgery of the Hand, and in addition to reconstructive and cosmetic surgery, he specializes in hand and wrist conditions many of which can be treated non-surgically. In the office, Dr. Walchak enjoys taking the time to discuss your issues and what he can offer in regards to treatment. He has a broad surgical training background and practice interests and enjoys performing meticulous surgeries so his patients are thrilled with their final results. For hand and wrist issues most patients can be treated without an operation and Dr. Walchak prefers working closely with hand therapists to guide patients to their best outcomes and overall function. Outside of the practice of medicine, Dr. Walchak enjoys spending time with his wife, a speech pathologist who works at Temple, Jeff and Penn, and their three children. You can find him in the winter months up early at the pool doing laps, or up in the Poconos or beyond snowboarding on a free weekend. In the summer months, he enjoys the sun and surf of the Jersey Shore in Cape May.